Collaboration is one of our core values - not only with our partners, but with each other. Everyone at Media Genesis works together to lead our teams to success. Whether it’s a client project or a video game at lunch, we know when to have fun, and when it is time to focus our talents to ensure success. In the digital world, the only constant is change. That’s why at MG we embrace change in the digital world and evolve with technology advancement. Whether it is with our clients, partners, or with each other, we value teamwork at all points of our process. We know that ideas can come from anywhere, and that’s why all of our employees are encouraged to think critically and creatively for our clients. We love what we do, and we like to have fun while we’re doing it. We face new challenges with excitement, while respecting and valuing each other’s diverse perspectives. We seek to build value by energizing and inspiring others. We’re honest, open, and transparent with our clients and with each other. We tell you what you need to hear, and not just what you want to hear. We honor teamwork and encourage partnerships to give you the best ideas and the perfect solutions. Excellence is at the heart of everything we do. The details related to strategy, design, and execution matter. We see the art in every job, every function, and take full ownership over our roles and impact. Are you looking for an exciting internship opportunity in the thriving world of technology or do you know someone who is? Media Genesis is proud to participate in a 12-18 month international internship J-1 Visa program. 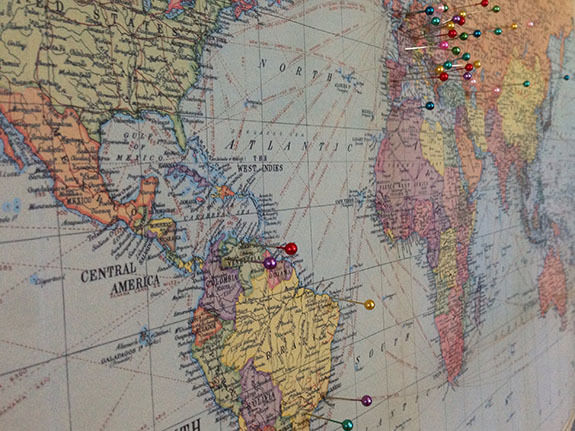 For the last decade, we've hosted several interns from around the globe. Our interns are a part of the MG family and they work closely with our team of project managers, designers, and web programmers to create unique web experiences for our clients. In turn, they receive individualized mentoring and training by our company's leaders and staff. 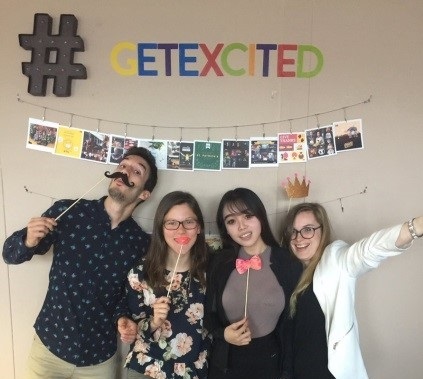 We work hard to make our interns feel welcome and appreciated in a friendly atmosphere through our many company events that expose them to the American culture. Looking for something more than your average coffee-fetching internship? Are you an undergraduate student in the Greater Detroit area who is prepared to work in a forward thinking and passionate digital agency environment? Intern applicants should have excellent written and verbal communication skills with extensive knowledge of Microsoft Office Suite (PowerPoint, Word, and Excel). Chosen applicants will contribute to website projects and will finish the internship with broad experience in various aspects of digital project management and digital marketing tasks. Ongoing mentoring is a key element of our internship program.